Nathalie is ready for her close-up. Cover Reveal! Nathalie is ready for her close-up. 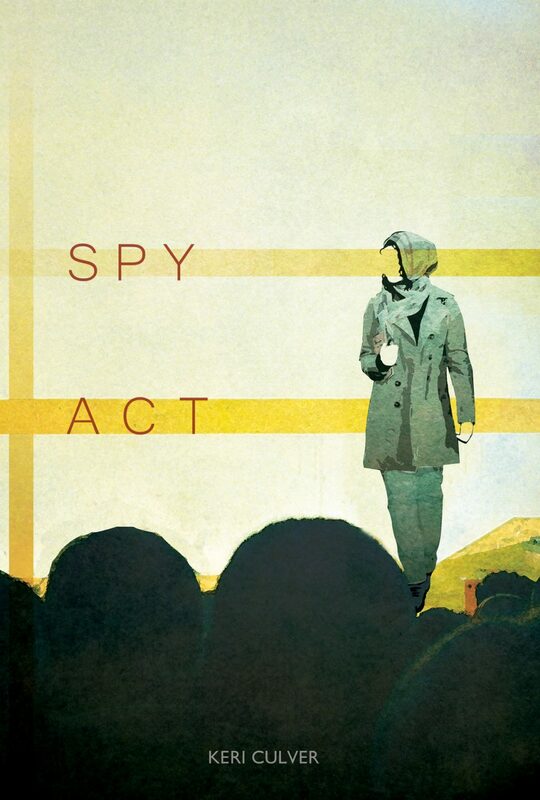 Spy Act has a cover design, created by the A-MAY-ZING Rima Salloum, who was able to take my words and create a gorgeous visual. I swear I only bothered her a little bit with fussing around with things and colors and fonts and images and styles and feels and looks. Rima has an amazing eye and sensibility – mostly I just needed to sit back and enjoy. It was actually a very fast, easy, and thoughtful process. I highly recommend it, and her. Having a cover doesn’t mean I’m self-publishing – though now I can if I like. I commissioned a cover because I’m a finalist in the WriterAdvice Scintillating Starts Contest which I entered earlier this year. Their squad of judges read the first thousand words of Spy Act, and I made the first cut in the contest. (Honey, would you please pass me that tiara?) In case I win, they asked me for a bio and a jpg that illustrates my story. I went looking for an artist, wrote to a few, and eventually picked one. As soon as Rima wrote back I knew it was going to be her. I’d already looked at her website and… well, just check it out. She’s clever and her colors have verve, and I just felt like I had dropped into the right site for a reason. I’m floating along with my head in the clouds about having Rima’s cover, because it’s lovely and eerie and mine, but not because I think the contest people will be calling any moment. These contests are full of good writers, there are many worthy finalists, and – I have to admit – Nathalie is truly an acquired taste. You can’t bring humor to the topic of terrorism and expect everyone to just jump on it like it’s Tom Clancy’s love child with Janet Evanovich. What you can do is keep hoping and keep applying – not just contests but pitching to agents, or selecting some gutsy small presses and querying them, or deciding to self-publish, and always continuing to write. I just finished a first draft of a silly novel about a family of superheroes with very questionable powers – like being very adept with fibers or being able to bore an enemy to death by speaking in binary – that’s right, ones and zeroes. Huh. So maybe it’s not just Nathalie that’s an acquired taste. Mayyyyyybe it’s me! Whatever happens, art means getting in the act, not getting accolades. Having Rima’s support for this little endeavor gave me a spark, and I thank her for sharing her art with me.